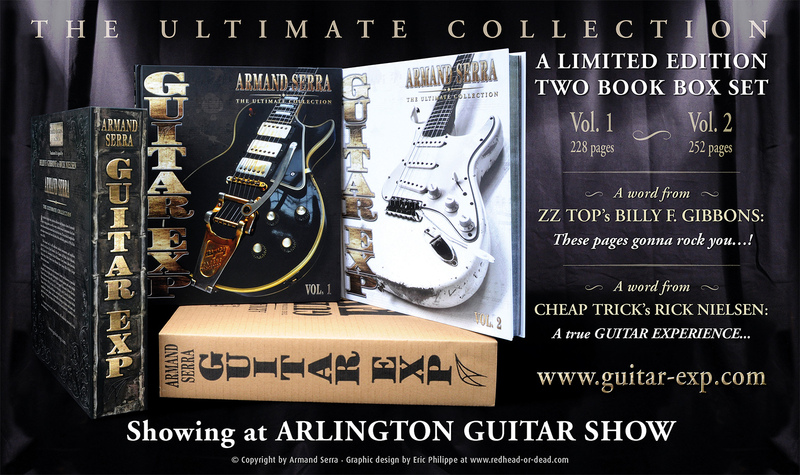 Crazy Pig Designs: GUITAR EXP at ARLINGTON GUITAR SHOW 2015 / World largest vintage guitar and collectors event. 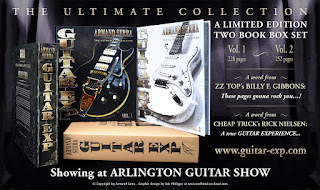 GUITAR EXP at ARLINGTON GUITAR SHOW 2015 / World largest vintage guitar and collectors event. 17th and 18th of October 2015. Yes this is the BIG ONE! and GUITAR EXP will officially be launched during the two day event. 10 000 guitars and 10 000 visitors expected. Various publications are already lined up to get a first glimpse at the contents of GUITAR EXP. at the stand: The regular DE LUXE version and a few copies of the COLLECTOR's SUPER DELUXE limited edition ( 250 copies only worldwide). books weight 5 Kg, so quite pricey to ship.